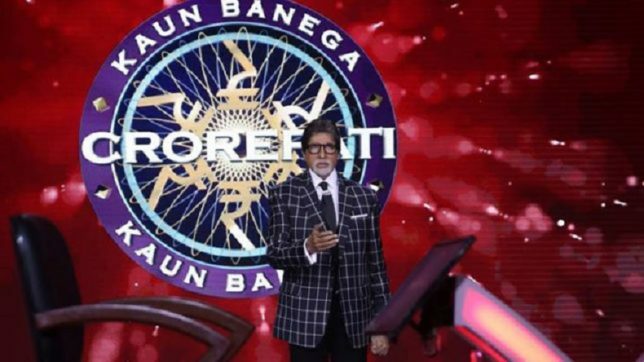 Kaun Banega Crorepati Season 10 Episode 4 September 6 Highlights: Kirit Rasdiya is the new contestant who won the fastest finger first after Anjula Bhatnagar wrongly answered the question and had to leave the game. She won a total of Rs 3,20,000 after she rightly answered 10 questions in the game. Earlier on Wednesday, Kiran from Punjab had won Rs 1,60,000 and decided to quit the show. Kaun Banega Crorepati Season 10 Episode 4 September 6 Highlights: Kirit Rasdiya from Gujarat will continue the game on Friday. On Thursday, he rightly answered the first four questions and won Rs 5,000 without using any lifeline. He was the only contestant who had rightly answered the fastest finger first round among all the other 10 contestants. He was about to face the 5th question but the buzzer rang and he had to quit the show. Earlier in the episode, Anjula Bhatnagar continuing her game on Thursday, earned a total of Rs 3,20,000. She rightly answered the first 10 questions but also quickly utilised all her lifelines. Facing the 11th question, she took a risk and chose a wrong option, though she did not lose any money as she had already crossed Rs 3,20,000 hurdle. Earlier on Wednesday during the third episode of the game, Kiran from Punjab took home Rs 1,60,000 after she decided to quit the show. Kiran had also used all her lifelines and got stuck on the 10th question on which she was not sure. Thinking of not taking any risks, she decided to quit the show. Kaun Banega Crorepati has been an all time hit program, which is both entertaining and informing. The show has a huge audience and has always performed on TRP ratings. Hosted by none other than Amitabh Bachchan, Kaun Banega Crorepati Season 10 has introduced augmented reality, a first for any Indian TV reality show, in order to make the game show more interesting and visually appealing. The maximum prize money remains the same as it was in the previous season which is Rs 7 crore. Kirit Rasdiya was the fastest and the only contestant who was able to answer the question asked in the fastest finger first and will now play the game on the hot seat with Amitabh Bachchan. Amitabh Bachchan once again asks contestants to get ready for fastest finger first. Facing the 11th question, Anjula Bhatnagar chose a wrong answer, however, she did not lose any money as she had just answered the 10th question, crossing which the contestant at least takes Rs 3,20,000 home. Anjula Bhatnagar is now facing the 11th question for Rs 6,40,000. Anjula Bhatnagar took a risk to answer the 10th question and won Rs 3,20,000. Though she was confused and hesitant to select the option but finally took the risk and crossed another hurdle. Anjula Bhatnagar is facing the 10th question, however, she has utilised all her lifelines so far. Anjula Bhatnagar has now won Rs 1,60,000 while facing the 9th question. She got stuck where she has to answer, "Which famous personality won the Dadasaheb Phalke award posthumously?" She utilised her jodidaar helpline and won Rs 1,60,000. Facing the 9th question for Rs 1,60,000, Anjula Bhatnagar is once again confused on the question, "Which famous personality won the Dadasaheb Phalke award posthumously?" She decided to use her another lifeline 'jodidaar'. Anjula Bhatnagar has got stuck on the 8th question and used her expert advise helpline to win Rs 80,000. She went ahead with expert opinion which made her win Rs 80,000. Anjula Bhatnagar wins Rs 40,000 after she rightly answered the 7th question.